I always say, “Don’t judge a tooth by its x-ray.” Also, don’t assume the worst. Give things a chance. That’s how I practice endodontics. I never say “never”, and I always give teeth a chance. I won’t know if something is going to work until I try. My philosophy served a recent patient well. 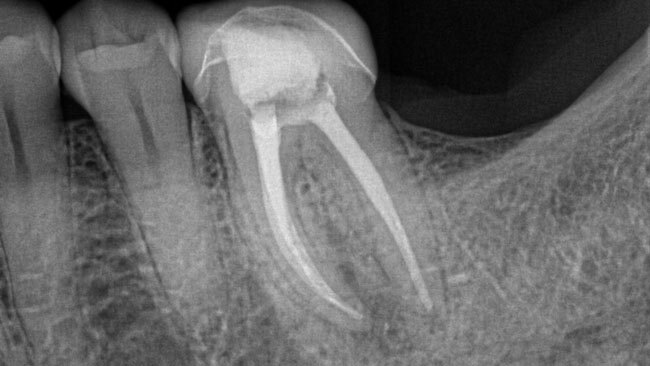 She came to me as an emergency case, experiencing lots of pressure and pain on a tooth that had already had a root canal. Usually, I try not to “meet and treat” my patients because I need time with them – they have questions that I want to answer. I like to make sure the patient understands their treatment and treatment options, and I want to make sure I am treating the right tooth. Getting the patient to understand the why is key, and that takes communication, transparency, and patience. However, if the patient’s pain is characterized by intense pressure and they are in tears, I reassess the situation and treat immediately. I know that their tooth is trying to drain, and I want to make that happen for them. When a patient comes to me and their tooth already had a root canal, my protocol is to take not just x-rays but a cone beam as well. Some dental professionals would have said that the cone beam was suggestive of a vertical root fracture… and that was possible, and most definitely a part of my differential diagnosis. But I could not be certain. 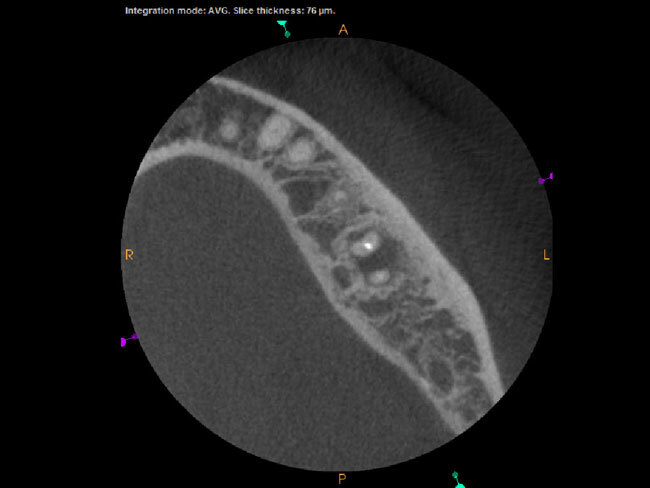 The x-ray imaging looked like the previous root canal had been done well. But since I had no history of the tooth and the patient didn’t remember any details, I had to keep in mind that it was possible that the tooth had a new bacterial infection that had nothing to do with a crack. It can be easy to blame pain and infections on cracks when treatment isn’t working, but bacteria is a more likely culprit. There are so many variables I did not know about the initial treatment. Was a rubber dam used? Was full-strength sodium hypochlorite used? How long did it take the patient to get her crown? I gave the patient her treatment options: retreatment with another root canal, or extraction with an implant. I explained to her that, even if she chose a second root canal, I could find a fracture in the tooth and it would still need to be extracted. She wanted me to try it anyway. Complete transparency before starting procedures is extremely important to me, and to my patients. So, I opened the tooth to find black, black and black. I was so surprised to see the level of infection in the tooth. The gutta percha was so contaminated by infection that it turned black. Once I removed the gutta percha, the infection started to drain. And THIS is the key to helping a patient feel better. Instant gratification for both me and my patient. Diagnoses require putting together lots of clues. I understand that there’s a learning curve to reading cone beam images, and they can be misinterpreted. Some would have thought to take this tooth out because of a possible fracture. 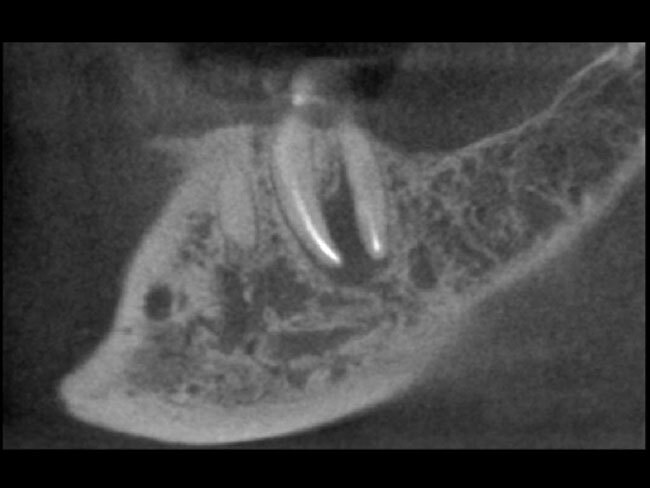 If you’re not 100% definitive in the cause of root canal failure, then access the tooth for a visual assessment to be sure. Sometimes we don’t know the answer before going into the tooth. But if you prepare your patient for the potential outcomes, then you have given them the option to take the chance with you. The cone beam for this patient did not look good, but if I had judged the tooth by its x-ray, I would have done a total disservice to this patient. It would’ve been a complete misdiagnosis. 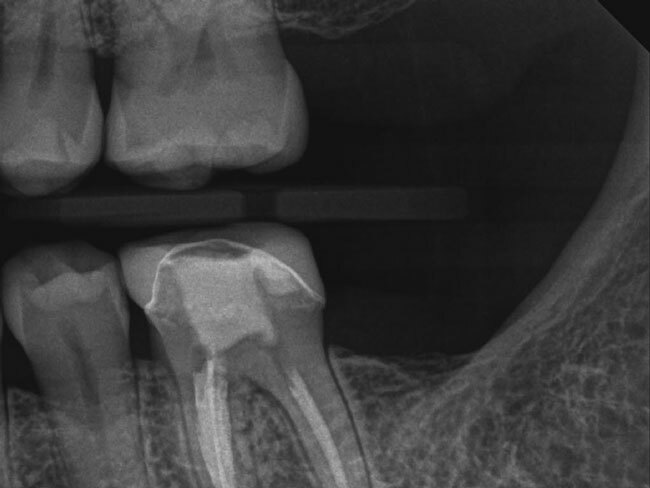 I was lucky that the patient wanted to try and save the tooth. It was the right choice for her and her health. Always be transparent with your patients. Give them all their options — and the “why” behind each option. If you rely solely on an x-ray to diagnose, you can make the wrong choice. Use all the information and clues you have. Be open to stepping outside your standard operating procedure if it allows you to better serve a patient… especially one who is in pain. Thanks JM! I feel the same! Mam so irrigation was at fault in this case? Bacterial contamination is the etiology. I don’t know whether or not a rubber dam was used, nor how they instrumented or irrigated. These are things we may NEVER know on a retreat, so I just proceed knowing that bacteria needs to be eliminated. Thank you Dr. – I’m glad we agree! My main frustration with my Endodontist friends is when they tell me a tooth is fractured and hopeless, and I don’t agree. I am all for saving teeth. Sometimes I can see the reasoning behind the diagnosis, ie: difficult patient, questionable prognosis. It always pleases me when you do give the tooth a chance. Hi Robert, I will be one of your Endodontist friends who agrees you can save a tooth! I don’t think a difficult patient or a questionable prognosis should ever stop you. I think as long as you’re transparent with your patient and explain the possibilities, and then if they are still willing to try, then it’s worth the exploration. He was correct. we just cannot see everything and sometimes we just get fooled. I once saw a 3rd molar with a PERFECT looking 3 canal obturation done by a specialist. 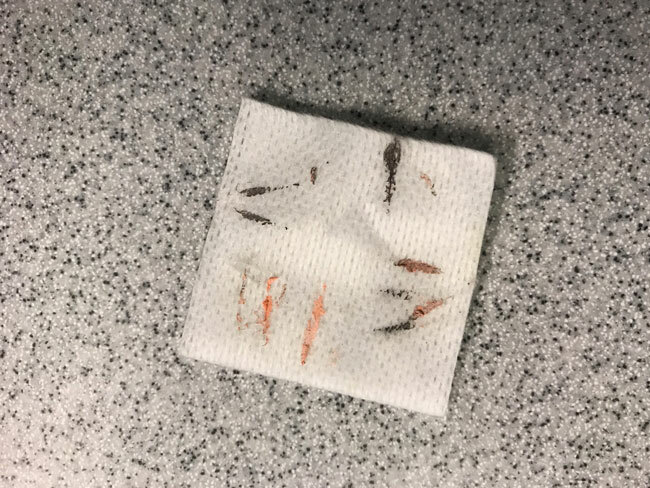 It was absolutely killing the patient. 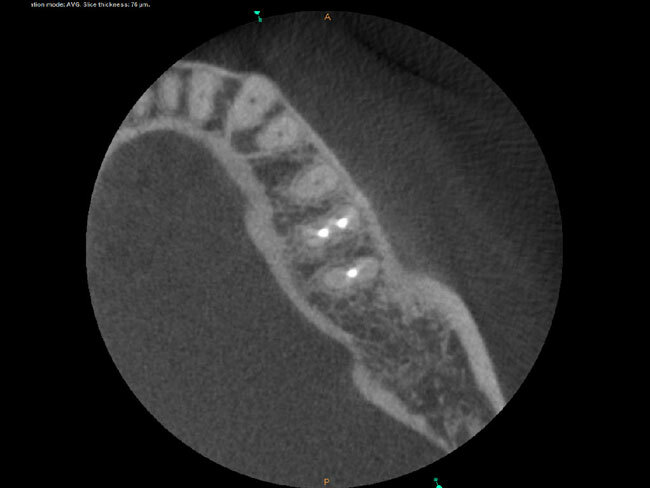 Upon extraction, I saw that each canal had 2 to 3 mm gutta percha overfill- but it looked perfect on the X-ray. Most of my patients would have opted for extraction due to the cost of retreatment. 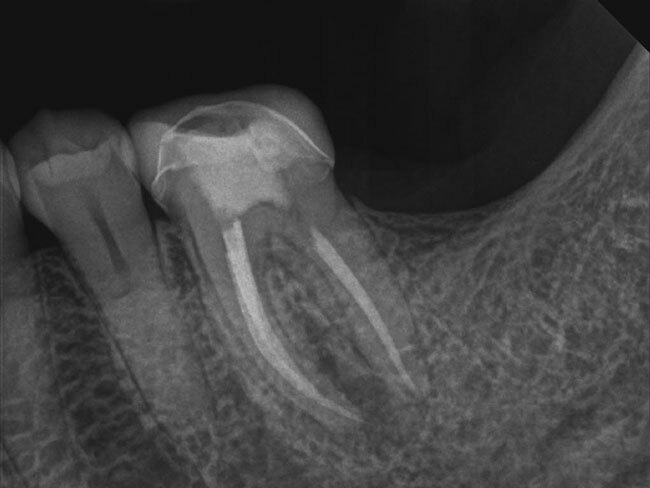 This person already had the cost of RCT and crown in this tooth. Was this case one where there was a temporary filling inside the access opening and they never had it sealed permanently? I love the 3 types of lies! In this case, there was no temporary filling, it was permanent buildup. But they didn’t place the buildup all the way down to the gutta percha. Thank You for the case study. Thinking outside the box after “ listening “ to the patient and what the tooth is trying to tell you is often missed in a hurried, fast paced practices. Every day in practice we have opportunities to do good for the patient and walk away feeling gratitude and happiness. Keep up the good work Sonia ! Dr Sonia thank you for constant updates…. Your blog gives me constant check and support to what all I decide as treatment plan, which is almost same way you do to much extent. 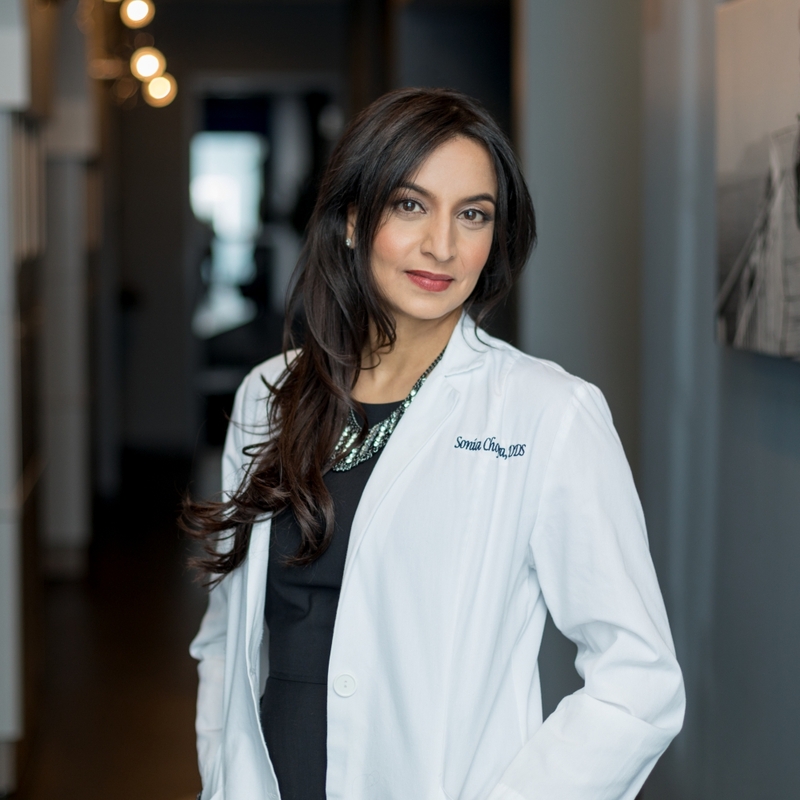 I keep myself up just to read your blog and that gives me strength, support and confidence as many of my fellow Endodontist colleague here in India differs. Thank you so much for reading Shanin! This is my mission – to help spread knowledge that we all need to practice better everyday!